Hypnotherapy in Leeds. Leeds Hypnotherapy Clinic offers hypnotherapy services both at the clinic or using Skype or Facetime, and is run by Daniel L. McDermid, who graduated in psychology with a BSc conferred by the University of Leeds. He is a full member of the British Society of Clinical Hypnosis and holds a Diploma in Clinical Hypnotherapy from the London College of Clinical Hypnosis. He also holds a practitioner diploma in Cognitive Behavioural Hypnotherapy through the LCCH. Daniel is also a supervisor at the LCCH. I first became interested in hypnotherapy after studying at university in Leeds for a degree in psychology. The efficacy of hypnotherapy in the treatment of a multitude of conditions soon became apparent to me and I embarked on a course with the London College of Clinical Hypnosis before eventually establishing my clinical hypnotherapy practice here in my home city of Leeds. Over the years it has been my privilege, as a practitioner of Cognitive Behavioural Hypnotherapy, to treat thousands of clients. Helping people to overcome issues, which seriously blight their lives, continues to give me great satisfaction. I treat a wide range of conditions, most of which are detailed elsewhere on this website, and I have developed my own specialist weight-loss and smoking-cessation programmes. Daniel is also the author of Stop Smoking – It’s a Doddle available from April 2015, both as a printed publication and as an e-book. The book details the methods Daniel uses at his clinic to help smokers quit as well as offering advice on self-hypnosis. 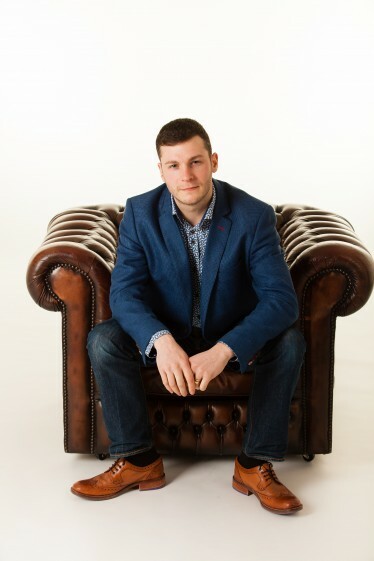 He is currently writing the second in what will be a series of hypnotherapy books; this second book will be entitled Lose Weight – It’s a Doddle, the treatment of weight issues and eating disorders being a speciality treatment service offered at Leeds Hypnotherapy Clinic. ● Copies of Stop Smoking – It’s a Doddle can be ordered directly from Leeds Hypnotherapy Clinic – simply send a cheque for £9.99 and your name and address to “Stop Smoking”, Leeds Hypnotherapy Clinic, Lion House, 41, York Place, Leeds LS1 2ED. (Postage is free). ‘…when a client leaves my clinic after treatment he or she does so as a non-smoker, able to get on with the rest of his or her life unburdened by a “dependency” on cigarettes. And that’s a euphoric feeling. The realisation that at last YOU are free from the enslavement of nicotine is going to be exhilarating. During trance, clients are able to address issues buried deep within their subconscious as the practitioner helps them to work through various issues. …‘The physical aspect of nicotine addiction is actually overcome very quickly, despite what so many people have been led to believe over the years. This physical aspect actually plays only a minor role in the habit and it is easily conquered as is explained as this book progresses. It is the psychological aspect of smoking that presents the more challenging obstacle. But this psychological aspect need not be hard to overcome. How long will it be after my session with a hypnotherapist before I can call myself a non-smoker? You will be a non-smoker with immediate effect. There is no “qualifying period”. I’ve smoked for years. How do I know hypnosis is going to work? It will work if you want it to work. If you have decided it is time to quit then the resolve is integrated into your unconscious by the hypnotherapist. I started smoking when I was in my teens and, after nearly 50 years, I’m wondering if it’s just too late to give up? It’s never too late to adopt healthier habits, in fact, the more vulnerable we become because of age the more important it is to adopt healthy choices. Remember, there will be immediate benefits for your health when you stop and the longer-term risks associated with smoking will also decline over time.